Microsoft has announced plans to integrate its Azure Stack hybrid cloud offering with the Azure Government cloud platform in mid-2018. 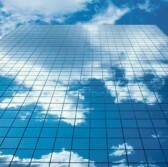 Natalia Mackevicius, director of Azure Stack, wrote in a blog entry posted Monday the planned integration seeks to establish connectivity with Azure Marketplace as well as Azure Government subscription, identity, billing, backup and registration functions. The integration between the two cloud platforms aims to help government clients perform data processing and analysis; build and field applications while meeting regulatory requirements; and update on-premises legacy applications. 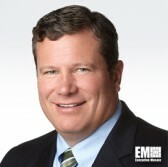 Steve Harris, senior vice president of Dell EMC’s federal sales, said the Dell EMC Cloud for Microsoft Azure Stack seeks to provide a hybrid cloud platform designed to reduce risk and facilitate agencies’ information technology transformation efforts. 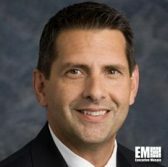 Nick Michaelides, VP of U.S. public sector for federal at Cisco, said the company is pleased to partner with Microsoft to offer Azure Stack as a converged infrastructure platform for agencies in support of Cisco’s multi-cloud strategy. Harris and Michaelides are both 2018 Wash100 recipients.